When your employer invites you to take part in their company-sponsored 401k, it can be a huge advantage to your fortune building potential. However, everyone’s financial situation is just a little bit different. So there could also be some variables about the plan that aren’t as well suited for your specific and unique needs. 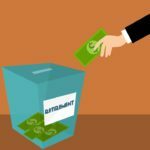 Below are several 401k advantages and disadvantages that you’ll want to consider before you get started and invest your first dollar. It’s your choice. 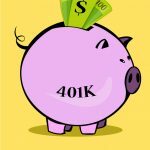 One of the biggest advantages of a pension vs 401k plan is that it is completely up to you whether or not you want to participate in the 401k. 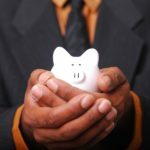 You can decide how much or how little to save every paycheck (though I strongly advise you to save as much as possible). Plus you get to choose which types of funds you want to invest in (as long as they are offered by the plan). It’s all automatic. After you sign up, that’s about as much as you need to do. The money comes out of your paychecks every two weeks and gets invested automatically. I do recommend doing an annual review of your funds to make sure they are meeting your goals. All your contributions are tax deferred. 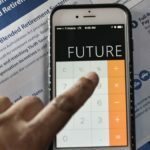 If you sign up for a traditional style plan, you get to delay paying any taxes on your savings until you finally one day withdraw the money during retirement. Likewise if you sign up for the Roth style plan, you’ll do the opposite and enjoy paying no taxes when you finally do retire. You can read a lot more about a traditional vs Roth plan here. Your gains are tax deferred. 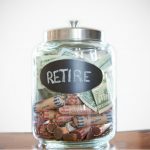 Just like your contributions, all the earnings you make on top of the money you contributed will grow tax-free until you finally someday take it out for retirement. Employer contributions. What could be better than free money! For simply participating in the plan, most employers will kick in a matching contribution to help you along. You won’t get those with an IRA. The money is yours. Unlike a pension if the company you work for goes bankrupt, you won’t lose your savings. The money will still be in your account and all yours. Even if you lose or switch jobs, you still get to take your investments with you. Only the employer contributions will be subject to possible withholding or forfeit (depending on the vesting schedule). Tons of growth potential. Because of your choice in investments and the power of tax-free compound growth, there is quite a bit of opportunity to grow a really sizeable fortune. Better contribution limits. Compared to an IRA or other style plans, the amount of money you’re allowed to contribute to your 401k plan plus the amount that your employer can contribute is pretty generous. No income restrictions. Unlike with an IRA, there really aren’t any limits as to how much you earn that will dictate whether or not you can participate in a 401k plan. Loans if You Need Them. 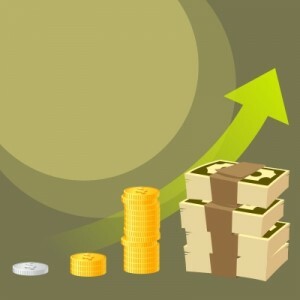 If you really need the money, most employers will allow you take out a portion of your savings in the form of a loan. Just keep in mind that you’ll need to pay yourself back with interest. No guarantee. 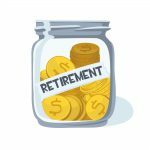 One of the biggest complaints about a 401k vs a pension plan is that pension plans provided guaranteed, stable income. That’s not true with a 401k. Depending on what you invested in, the market can dictate how large or small your portfolio will grow. Can’t get your money back for a while. 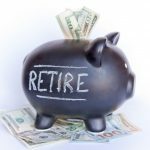 Unfortunately once your money is invested in the 401k plan, you can’t touch it again until you’re age 59-1/2 without having to pay taxes and penalties. Only certain loans, hardship withdrawals, or a 72t are allowed. High Fees. On the average the funds offered in most 401k plans carry higher expense ratios than regular investment products offered by brokerage firms used for IRA’s. 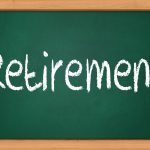 401k plans also carry administrative fees which IRA’s do not. Limited scope of investment products. 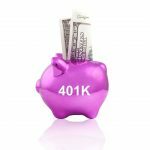 Although most 401k plans offer a pretty healthy range of options, there are some that offer their participants less than desirable choices. These might be funds that carry high fees, are poorly performing, or offer limited diversification. Employer control. Few people realize that because your employer controls the 401k plan that they set the rules. Therefore if they don’t want you to get a loan or won’t allow you to start making early withdraws, it’s within their jurisdiction to do so. Biting into your growth with loans. Taking loans from a 401k is really a disadvantage because it’s generally not a good idea to borrow from your retirement savings. Your retirement savings are meant to build long term growth. So having the ability to take a chunk out of that will only hurt your chances for success. Vesting. 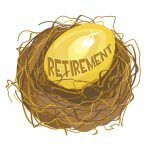 Because employer contributions are subject to a vesting schedule, it could take you several years to full earn everything your employer has given you. Required minimum distributions. Think you can just hang on to your money forever? Not so fast – the IRS wants to make sure they eventually collect on the taxes you owe them. 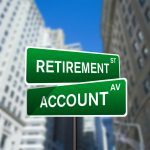 Therefore by the time you reach 70-1/2 you need to start taking out a minimum amount of withdraws from your 401k whether you want to or not. 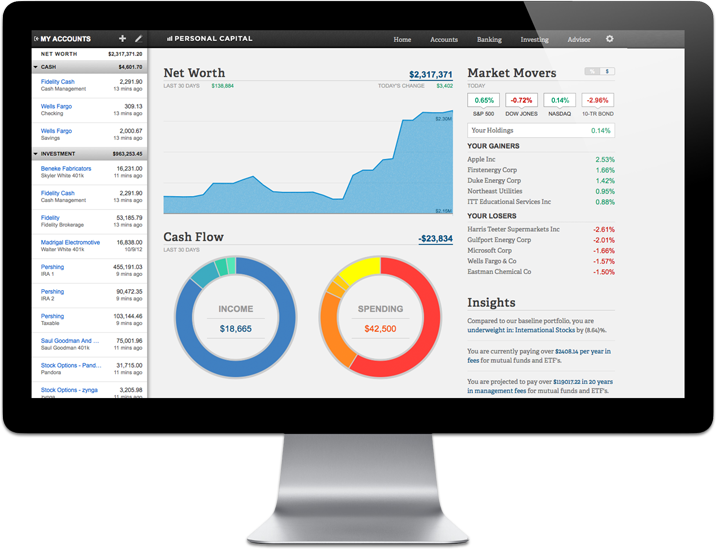 If you’d like a smart and easy way to track your 401k plan as well as any other investments you may have, Personal Capital offers a free account that will monitor your funds and email you reports of their performance. One of the great advantages of their service is that if you reach a certain minimum portfolio value they will offer you free financial planning advice. This is really useful because they will help you by making recommendations about your growth strategy, fees, and contribution levels as they pertain to your goals. Combine that with the free service of not having to login to 3-5 accounts every time you want to check on your finances and you’ve got my vote!